My first year at Northwestern, I was one of the co-producers of the Freshman Musical, an annual production within the Northwestern theatre community that is produced, directed, and performed entirely by first-year students. I was chosen to co-produce the show alongside another new student, named Andrew. Our work began in November as we immediately selected a show, applied for the rights, and started to build a team, all of which was something neither of us had done before on this scale. By winter break we had applied for rights for Bonnie and Clyde and were preparing for auditions in January. Once we reached May, we had a full team of almost 50 first-year students, had fundraised $2,000, had full plans for a set, props, costumes, and sound, and were on our way towards the tech week of our production. I quickly discovered that a production’s success comes from the strength of the team. 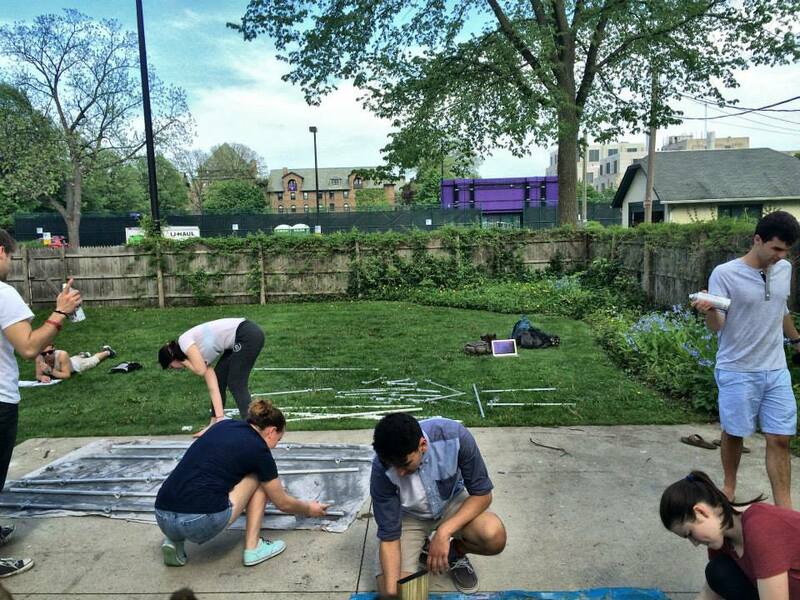 The Northwestern student theatre community shares a series of platforms that can form the basis of a stage. They are giant, cumbersome, 8ft by 3ft wooden structures, which take about four people to lift or move. Different theatre groups share them and pass them on from one production to another. Bonnie and Clyde had claimed five, which we would be receiving from a giant production that went up the week before us. The production before us was going up in our student center, and ours was in a black box theatre halfway across campus. The plan was simple—on the day of the last production’s strike; they would load all of their platforms into a U-Haul, and drop 5 of them at our theatre before taking the rest back to storage. However, an unpredicted string of events led the other production to cancel their U-Haul, thus leaving us five days from opening without the foundation of our set. We didn’t have the funds for a U-Haul of our own, we lost the ability to borrow the U-Haul from the other production, and we needed to move five platforms down two sets of stairs and across campus, each of which would take at least four people. Cut to a scene of 30 first year students standing around a pile of 27 platforms. We put 5 people on each platform, and started a mass effort to get them down two flights of stairs, onto a trolley of questionable stability, carted across campus, and into our theatre. The student center was filled with the flurry of madness that was our team, but when the insanity broke for a split second, I was struck by the fact that somehow 30 of my peers were running around under my direction, excited and willing to try to perform an insane task for the sake of creating art together. I almost cried. Somehow, through an innumerable number of meetings, emails, rehearsals, and build hours, we had become a team. Somehow I came to this moment, standing in the student center, directing 30 of my peers, each of whom I was more proud of than I ever thought I could be. I was proud of them, I was proud of myself, I was proud of our production, and I was immensely proud of the team we had become.